“Are you guys going for your 46ers?” the woman asked, nibbling on some Swedish Fish as she took in the view on top of Nippletop Mountain. I shrugged. 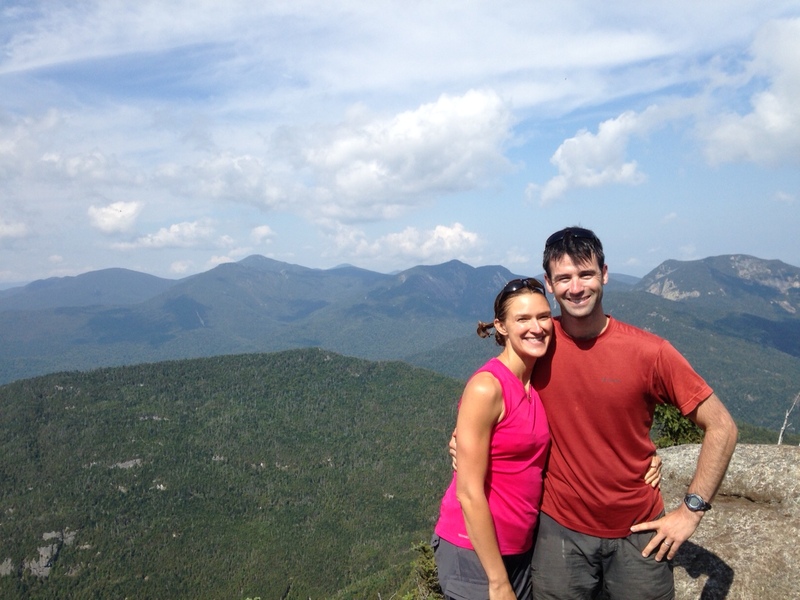 We were standing on top of one of the Adirondacks’ famed 4,600-foot peaks, so it was natural to ask whether we’re consciously working toward summiting all 46 of them. “Kinda sorta,” I said. “Casually, and slowly.” The woman and her hiking partner hurried off to ascend Mount Blake, another 46er, before the end of the day while we hung out at the summit and enjoyed a snack and the views. It’s not that we’re uninterested in “going for our 46ers.” But we’re more interested in the journey to each peak than we are in the actual peak-bagging. Maybe this is why we’ve only done three since moving here in 2013. 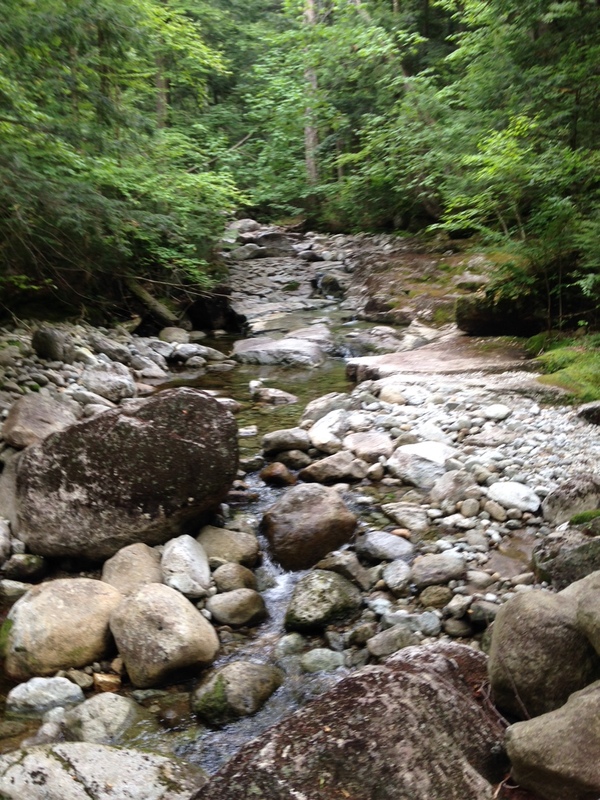 (Read about our ascents of Cascade and Wright here.) In any case, Nippletop (I know—heh, heh) is worth the trip, both for the vistas up top and the scenic journey leading to the summit. 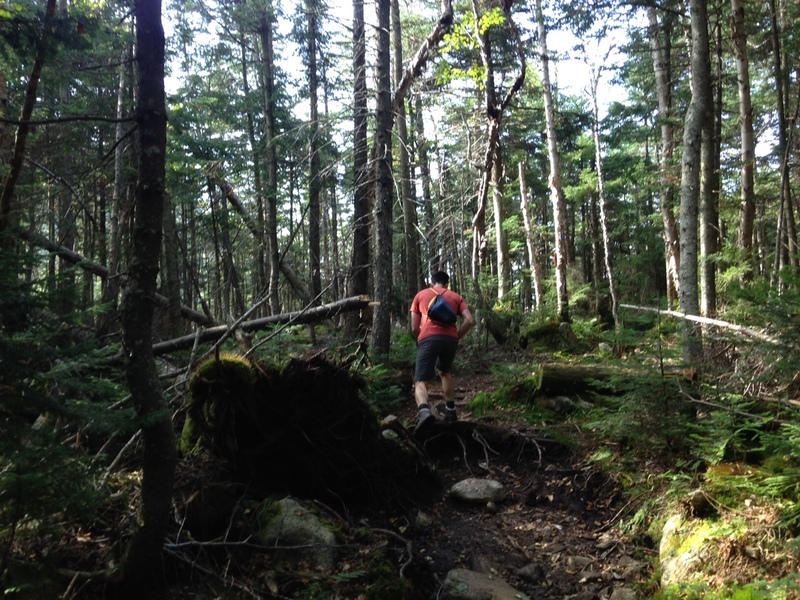 There are plenty of turn-by-turn blog posts that offer advice about routes (this one from Hike the Adirondacks is especially helpful), so I’m going to focus on sharing a few of my favorite moments from the hike instead. 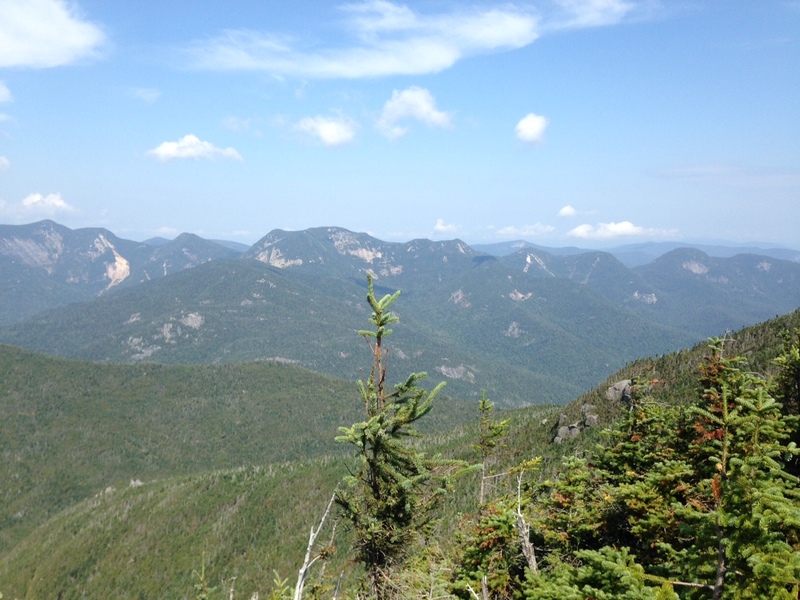 The summit was interesting—the actual highest point is just a small clearing without many views. A few feet below it, there’s a nice rock outcropping where you can see Mount Colvin and Mount Blake, though. We paused and took in the views there. We also got that couple in a hurry to summit Blake to take our picture there. 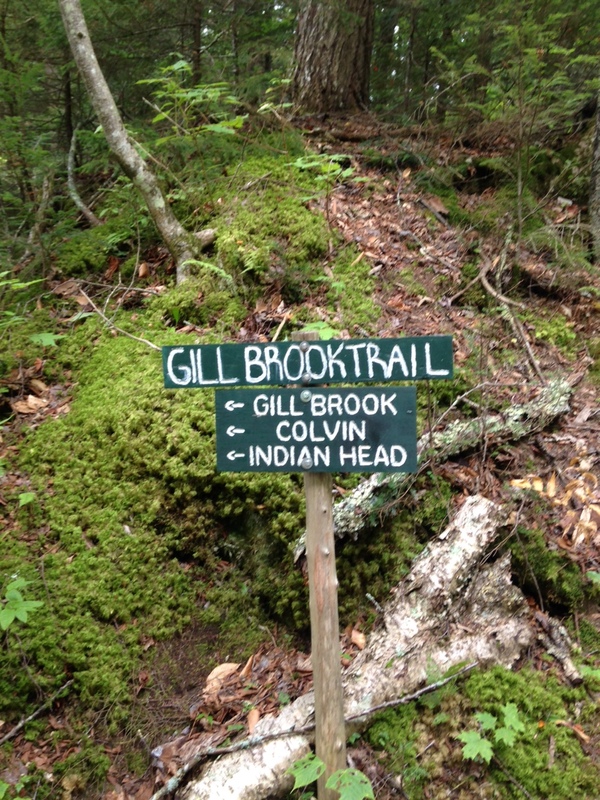 The most amazing and beautiful part of the hike was Fish Hawk Cliffs and Indian Head. If you hike Nippletop or any of the other nearby peaks, don’t miss the sweet, deep peace of this fjord-like overlook. 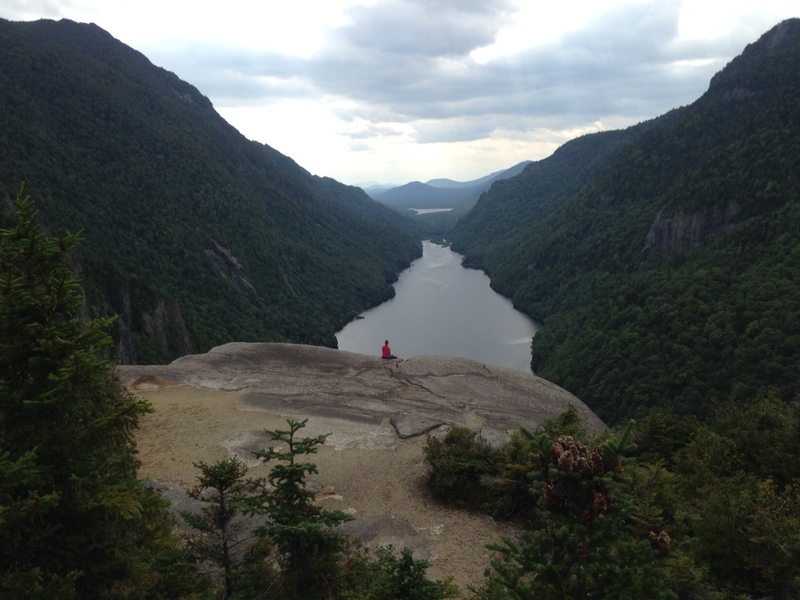 We lingered for an awfully long time, staring at Lower Ausable Lake in pure wonder. We were in no rush. Breathtaking scenery and lovely writing! You two are honestly just adorable together. I like your casual approach to bagging peaks. It’s gotta be fun afterall, or why bother?